Happy December to all! The holiday season is fast approaching, in fact today is the first day of Hanukkah. So it’s appropriate that I have three new books to tell you about, all of which will make great gifts and, coincidentally, each one is blue! Oh how I wish I had retained all of the concepts this book introduced me to (I need much more practice). Bridge defense is so logical it almost feels like cheating! Of course, you have to remember to pay attention. This is a great workout for the brain! You defend half of all the deals you play. Think about it. 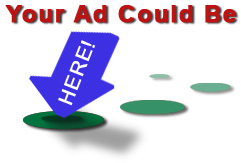 That makes defensive signaling a vital topic, although one often neglected by players and writers. This book examines the real purpose of defensive signaling, and the basic kinds of signals that are available to defenders. The author goes on to recommend a comprehensive set of signaling agreements, and analyzes more complex situations in the light of these agreements. Most of the chapters are followed by a quiz, the answers to which demonstrate the effectiveness of the recommended signal. The book finishes with a chapter that looks at the signaling methods of eight world-class pairs, with examples of their methods in action. A book any player looking to improve their results will want to read. 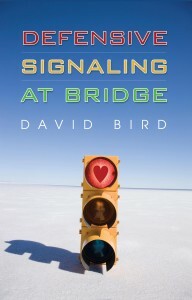 David Bird (Southampton, UK) is one of the world’s best-known writers on the game, with almost 100 books to his credit, including Planning the Play of a Bridge Hand (with Barbara Seagram) and Bridge Endplays for Everyone. This book is the perfect size for stocking-stuffing. Guaranteed to bring a smile to the face of bridge and golf players alike! Canadian cartoonist Bill Buttle is well-known to readers of The Bridge Bulletin in the USA for his trenchant lampooning of bridge and bridge players. In this, his first collection, he targets not only bridge players, but golfers. 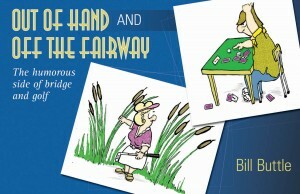 This book of hilarious one-panel cartoons will make a great gift for any bridge nut or golf addict. Bill Buttle (Arnprior, Ontario) is a former dentist who took up drawing cartoons post-retirement. His ‘Two’s a Crowd’ and ‘Double Bill’ features have been syndicated in newspapers across Canada. Bill’s bridge humor is familiar to North Americans since it appears regularly in the ACBL’s monthly Bridge Bulletin (circulation approx. 200, 000). This is my personal favorite of the three, in fact it’s my staff pick this year (as you will soon see), due to my student-of-bridge status. I cannot go anywhere without it! 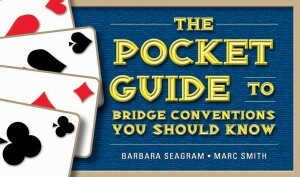 Seagram and Smith’s 25 Bridge Conventions You Should Know was published in 1996, and has gone on to become the bestselling bridge book since Charles Goren was writing. This handy pocket guide presents the material from that book as a concise, easy reference. From Blackwood to Negative Doubles, Splinters to Transfers, you will find all the answers to your questions about basic conventions right here at your fingertips. Barbara Seagram (Toronto) is one of the best-known bridge teachers in North America. Her books on the game have sold well over a quarter of a million copies in five different languages. Marc Smith (England) is a bridge journalist and author who regularly writes for BRIDGE magazine in the UK. All three books are now available from Baron Barclay online (or 1-800-274-2221) and will be available very soon on Amazon.com and in Canada at Chapters.Indigo.ca. Start your shopping now! I should also mention that the ebooks are available from ebooksbridge.com if you prefer a digital copy. We are already working on some exciting new titles for 2011. Want a sneak peak? Download our catalogue here. We’re really excited about being able to bring you these books in ePub format too! Any day now… keep watching the skies!